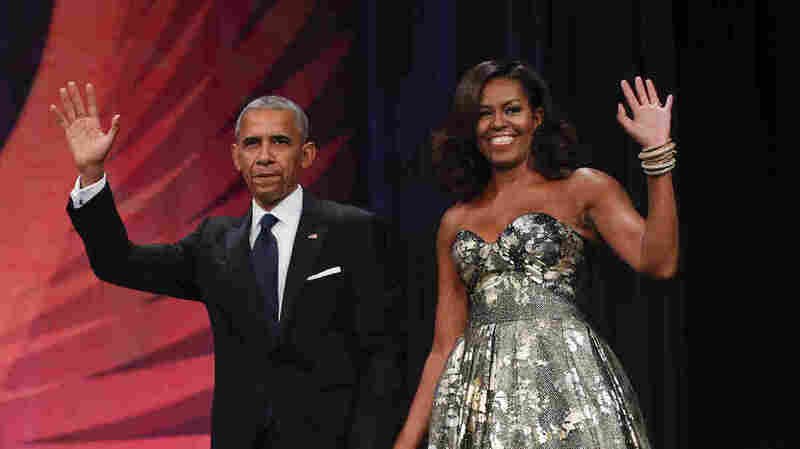 Penguin Random House Announces Book Deal With The Obamas : The Two-Way In a statement Tuesday the publisher said it was "very much looking forward" to working with the former president and former first lady, who will each be writing a book. Some of the proceeds from the Obamas' two upcoming books will be donated to charity, both by the publisher and the authors. "We are absolutely thrilled to continue our publishing partnership with President and Mrs. Obama. With their words and their leadership, they changed the world, and every day, with the books we publish at Penguin Random House, we strive to do the same. Now, we are very much looking forward to working together with President and Mrs. Obama to make each of their books global publishing events of unprecedented scope and significance." The publisher said it will donate one million books in the Obama family's name to First Book, a nonprofit organization that provides educational materials to children in need. According to a press release from Penguin Random House, the Obamas will also donate a "significant portion" of the books' proceeds to charities, including the Obama Foundation.